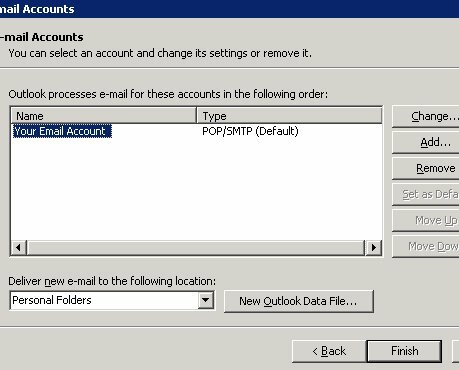 These instructions will walk you through how to change an existing email account in Microsoft Outlook 2002 to be able to send and receive email when you are using Pacific Online's DSL. 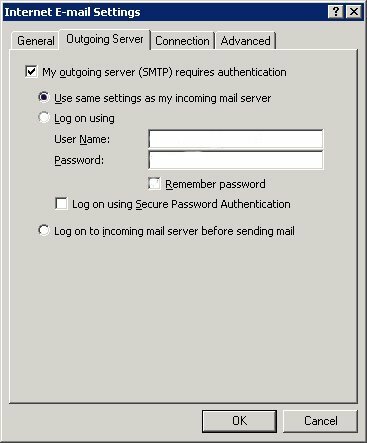 NOTE: If you do not have an email account setup, go back to the main support page and choose the appropriate link for setting up your email account based upon the email program you have. 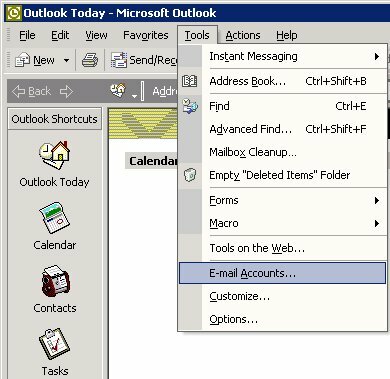 Step 1 - open up your Microsoft Outlook and click on the Tools Menu and then choose and click on "Email Accounts" as shown in the screen shot immediately below. Step 2 - the screen shot as shown directly below will appear. 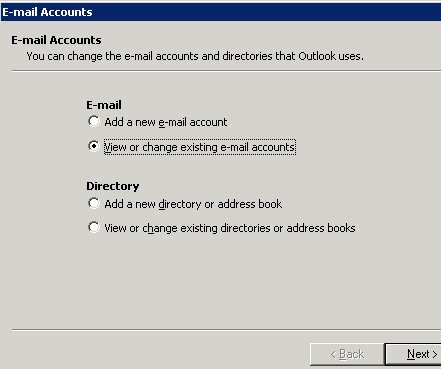 Put a black dot in the option that says "View or Change existing e-mail accounts"
Step 3 Fill in the boxes as indicated below. Then towards the bottom right side of your screen you must click on the tab that says "More Settings"
Step 4 - once you click on the More Settings tab as directed in the above screen shot you will see a small box as indicated directly below. Fill out the information on this screen. Then notice that there are four tabs on top. 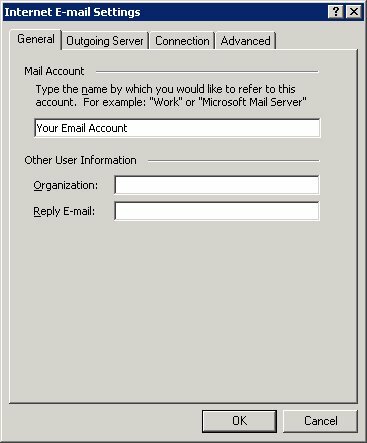 You must click on the tab that says "Outgoing Server"
Step 5 - You need to fill in on your screen exactly how you seen in this screen shot immediately below. Step 6 - This is the last step. 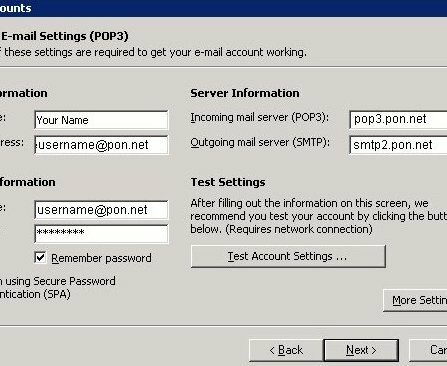 Simply click on Finish at the bottom of this screen and either check your email or close our Microsoft Outlook.